The lower branch of the resonance spectrum of the quasi-one-dimensional triangular antiferromagnetic CsMnI3 has been investigated experimentally. This branch possesses a gap due to the dynamic hyperfine interaction. The temperature dependence of the energy gap was studied in detail at several frequencies. 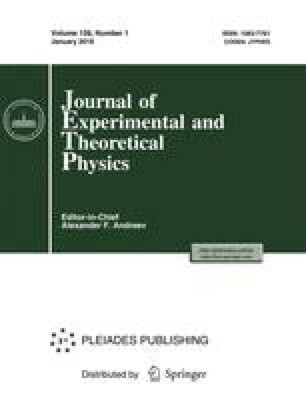 A theoretical calculation of the corresponding spectrum of coupled electron-nuclear spin oscillations was performed in the “hydrodynamic approximation” with an empirical correction for thermal fluctuations of the antiferromagnetic system. The good agreement between the calculation and experimental data makes it possible to determine the zero-point spin reduction in the antiferromagnetic.